Have a question about our custom-made windows, warranty program, or simply want more information about all of the products and services we offer? Take a look at the frequently asked questions below to find answers to some common questions. ​ How do I get a quote? A Stanek Windows representative from Great Day Improvements will meet with you at your home, at your convenience. We'll bring out samples, examine the installation of your existing windows and provide you with a written estimate. Just give us a call at 800-230-8301 or fill out the online form, and we'll make arrangements at your convenience, evenings and weekends included. It's that easy. ​ Where can I purchase Stanek Windows? Stanek windows are manufactured by Great Day Improvements, LLC, in Macedonia, Ohio. Our windows are sold exclusively through our corporate locations. Click here to find a location nearest you, call 800-230-8301 or fill out our online contact form. ​Can I buy Stanek Windows and install them myself? 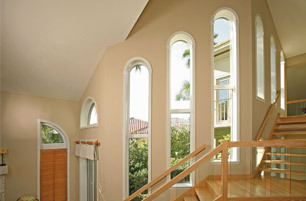 Stanek windows are all custom made, and sold on an installed-basis only. Keep in mind on installed products, you won't have to pay sales tax. In addition, you'll also receive a limited lifetime guarantee on material, two-year warranty on labor. This is a tremendous value, and a hard one to beat when you consider the time and cost of doing it yourself. 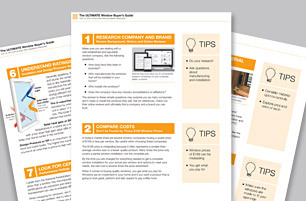 ​How do your windows compare in price to national brands? Stanek windows are competitively priced in the market. Our windows are not the cheapest, but they're not the most expensive. However, we feel our windows are one of the best investments you can make in your home, given the price. In addition to the obvious benefits you receive from our windows, you'll also receive a limited lifetime warranty on materials. ​ How does pricing compare to other name brand competitors? 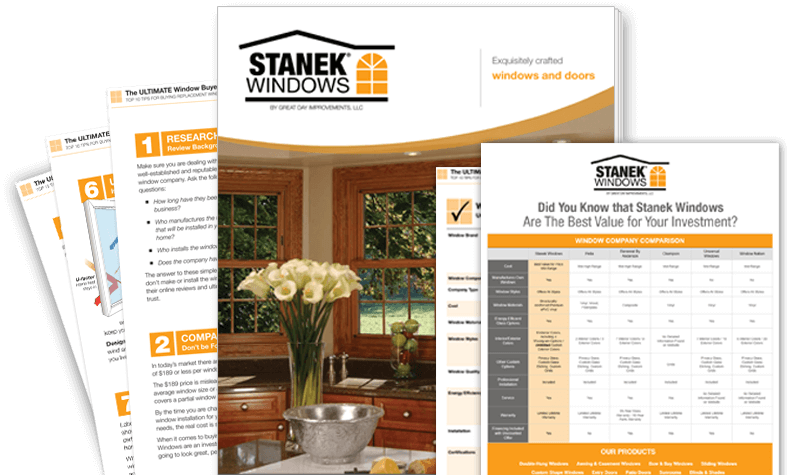 Stanek windows are one of the best values on the market in terms of value vs. cost. The pricing and value in terms of quality, longevity, durability and warranty are hard to beat. 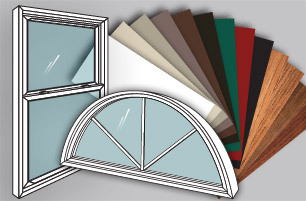 ​ How do Stanek Windows compare to Andersen Windows? I am curious about the quality and price difference, as well as installation costs. Stanek windows outperform the Andersen window in many ways. Please contact your nearest office at 1-800-230-8301 for your FREE in-home estimate or download our latest catalog today. ​ What brand of windows do you sell? We, Great Day Improvements, make and install Stanek Windows. This is the only brand of windows we sell. Stanek windows are high-quality vinyl window available for both replacement and new construction directly to you. All products are custom made, and every style imaginable is available. Options include color varieties, woodgrain interiors and v-grooved glass, as well as a choice of insulated glass units. ​ How easy are Stanek Windows to clean? Our windows are extremely easy to clean and care for. The maintenance-free vinyl easily wipes clean with soapy water. The glass panes either tilt in or lift out for easy cleaning. Please call 1-800-230-8301 for a free demonstration at your home at your convenience. ​ What is better, wood or vinyl windows? Both are good insulating materials, but vinyl is a better choice for a high-energy window because it will not rot, swell, split or be affected in any way by the elements. You will love our woodgrain interior finishes that look exactly like wood, without any of the maintenance. Think about it... never stain, paint or varnish again. No need to worry about the window left open during a rainstorm! ​ How do I find the best vinyl window design that reduces sound transmission the most, quantitatively? The best method to finding the window of choice is by asking for referrals and letting the customers themselves tell you about sound reduction after having the windows installed. In one of our many letters, Pam Clark writes back, "It's beautiful inside and out and the noise it keeps out is remarkable. The dog can't hear the cars in the driveway anymore." It is one of the many benefits of our new Stanek windows." If you would like more information, please contact us at 1-800-230-8301. ​ I noticed condensation on the exterior of my windows. Is this normal? Yes. Under the right conditions, exterior moisture may form for a short period on the outside of a glass unit. This wipeable moisture is simply dew, the same dampness found on your lawn, siding, cars, etc. This phenomenon is quite common with super insulated windows. The new windows are so efficient they do not allow the warmer inside temperature to escape to the outside. Therefore the outer pane of glass stays colder, and the moisture in the air collects on this colder surface. This short-lived annoyance will disappear as soon as the exterior temperature rises and warms up the exterior piece of glass. Nothing to worry about! It actually demonstrates how well your windows are working. ​ Will your Stanek Windows sweat or condensate? Please understand all windows can sweat under the right conditions. Windows do not cause condensation. The two factors that contribute to condensation are surface temperature and humidity levels. CRF is condensation resistance level – this is the ability of the window to resist condensation. The lower the U-value / higher the R-value (better insulated), the better the ability to resist moisture due to a warmer surface temperature. Remember, you control the humidity level in your home. A good analogy would be two identical glasses of ice tea – one with one ice cube and the other with five ice cubes. The one with five cubes will sweat or condensate more because the surface of the glass is colder. Always choose the best insulated glass available to reduce condensation. 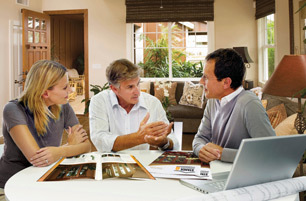 ​ Is the warranty offered on Stanek Windows transferable to a new owner? No, it is only valid to the original purchaser. ​ Can Stanek Windows be installed for commercial buildings? Will you accept commercial quotes? Yes. Great Day Improvements manufactures and installs for both residential and commercial dwellings. Our products are tested to the most stringent standards and carry exceptional AAMA and NFRC grades. Products are all custom made to specific sizes, and we offer every style imaginable from double-hung, sliders and casements to custom shapes. Call 1-800-230-8301 today for more information. ​ Do you have a referral incentive program if I refer a friend? Yes, we do. In fact, according to our satisfaction surveys, more than 95% of our customers would refer us to their friends, neighbors and relatives. The program offers $100 for each new referral that completes an in-home appointment with us. An additional $100 is offered for any appointment that results in a sale of Stanek windows, regardless of the quantity purchased. We greatly appreciate and thank you for all referrals. Refer a friend today! ​ Do you install windows during the winter? Yes, we do! And we have a system to minimize heat loss in your home. We close off each room and replace one window at a time. We also use a two installer team (one on the outside and one on the inside) to eliminate snow and debris from entering your home.